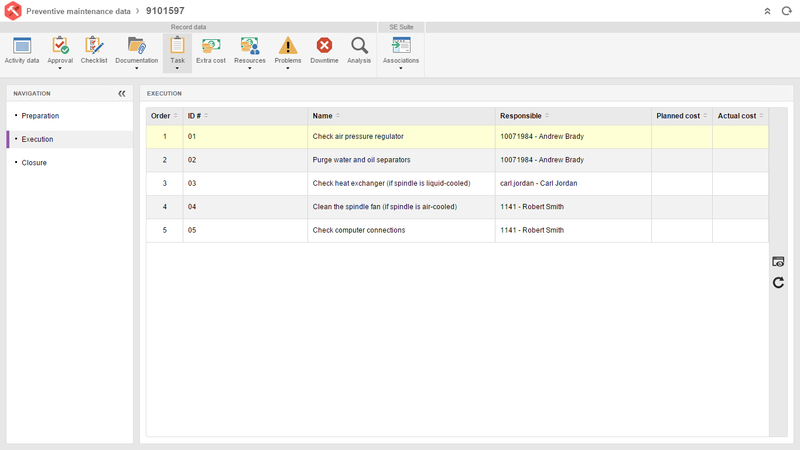 SoftExpert Maintenance is a software for streamlining and automating maintenance operations. It helps your company to lower costs and achieve new levels of efficiency. Maintenance software reduces equipment downtime. It allows companies to easily manage predictive (PdM), preventive and corrective maintenance tasks. The system allows equipment history and trends to be tracked, through prevention and failure analysis capabilities. 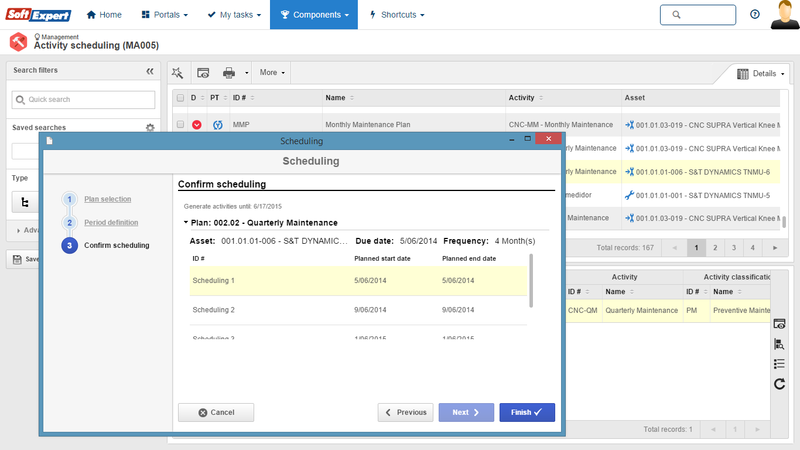 It also minimizes time spent on maintenance tasks, by managing technician schedules, parts, supplies, tools and suppliers, comprehensively optimizing maintenance programs. Through the solution, maintenance management reaches a higher level of maturity, while also meeting the requirements established by international standards and regulations, such as ISO 9000, ISO 55000, and IATF 16949. 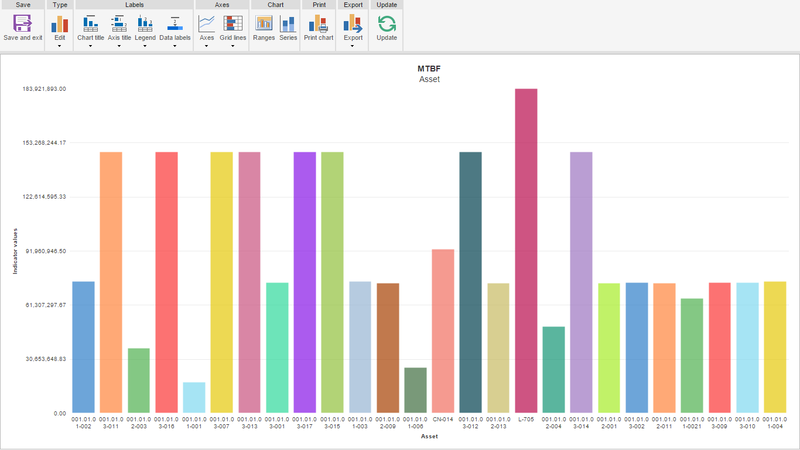 Recording and tracking of human, material and financial resource consumption based on work orders. Links maintenance activities to all types of documentation, including manuals, catalogues, pictures, contracts, work instructions, assembly drawings, projects, and layouts. Control of activity execution using Kanban. 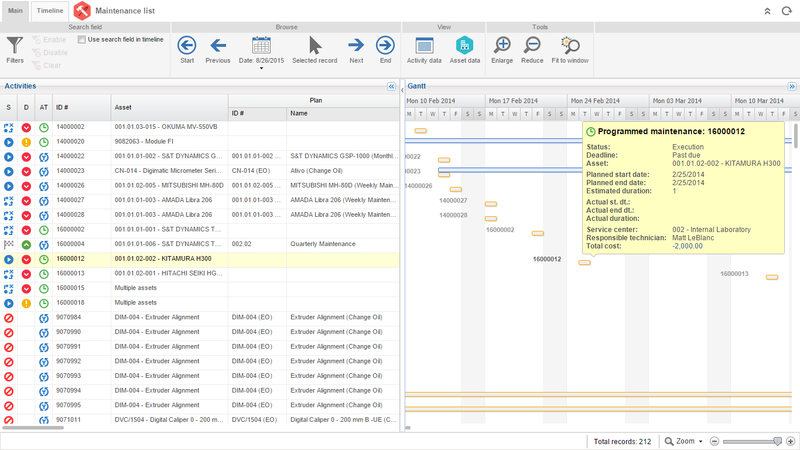 Maintains historical information on equipment work orders and groups them by equipment, execution date, maintenance team, detected failure, and more. Provides tools for analyzing failures in equipment, allowing managers to determine defective relationships, respective causes, and necessary corrective action. Execution of maintenance activities through smartphones and mobile devices. Five steps for developing and managing the Supplier Quality Management Lifecycle Model.